Thiis Pro First 100 letterbox is very stylish and comes in landscape format. It's body is made from brushed stainless steel. The door, which can be opened with a cylinder key lock, shines with many details such as a finely embossed envelope, a name badge and 4 round holes. Mounting material and fixings are included. 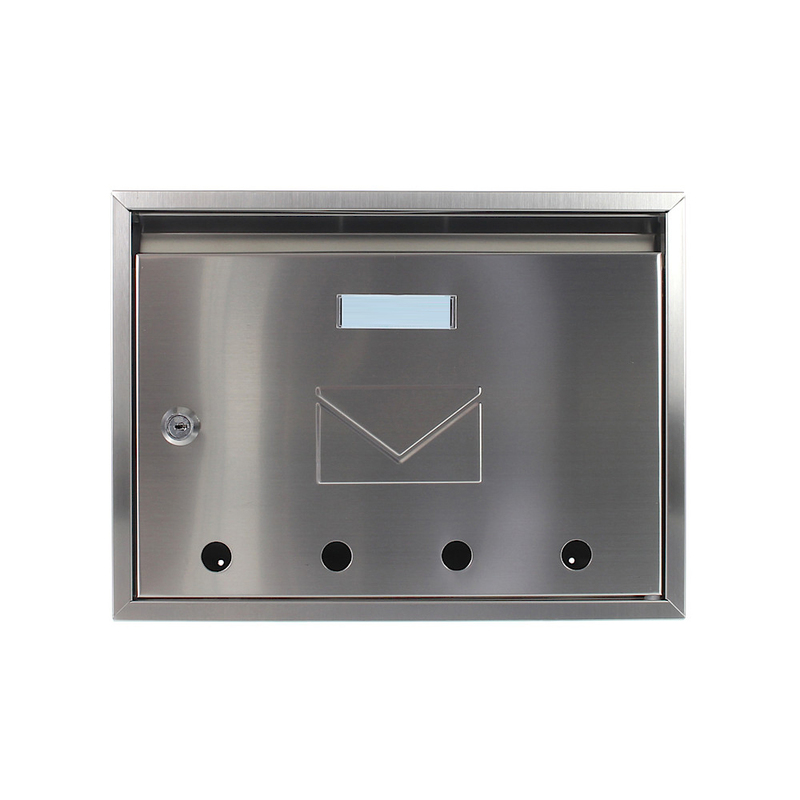 The Stainless Steel Pro First 100 mailbox is made from high quality Stainless Steel. Also has a unique designer envelope on the front door.